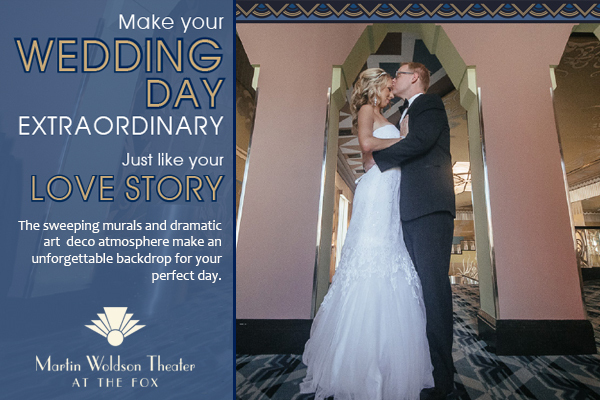 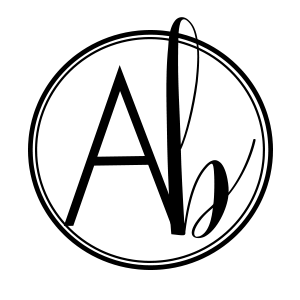 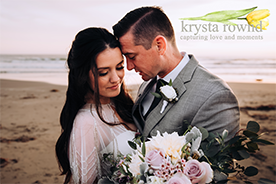 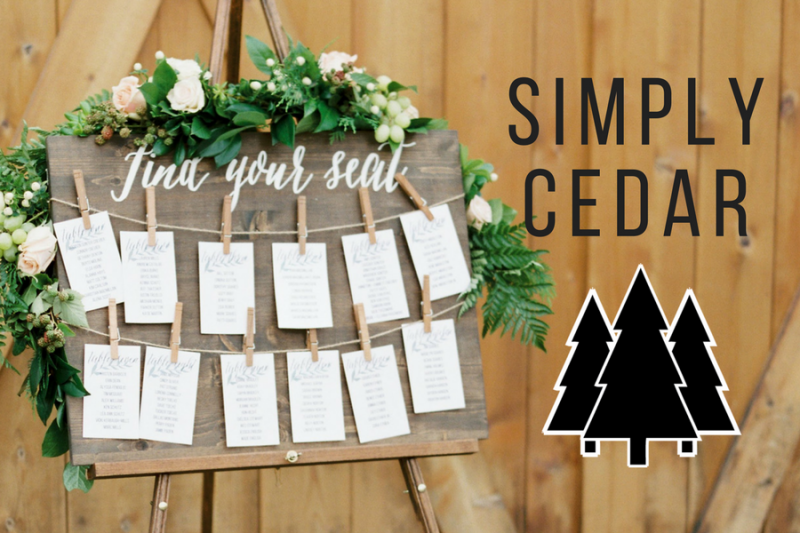 You've heard us say it a million times-- the BEST part of working in the wedding industry is getting to see how couples make their engagement and wedding their own, and unique to them. 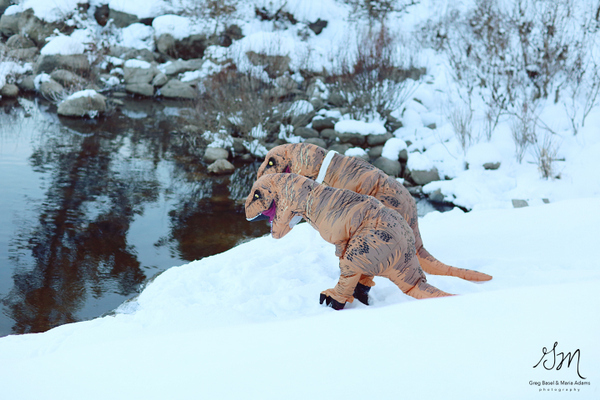 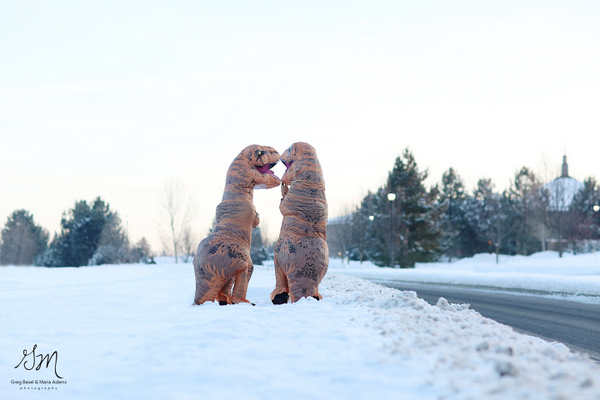 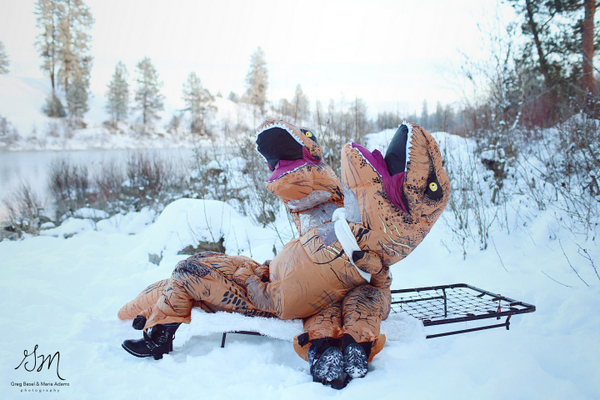 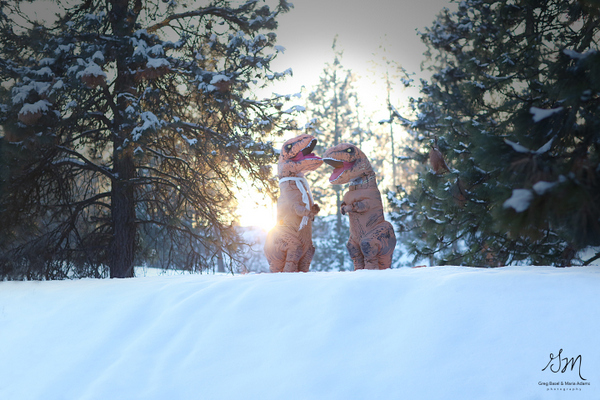 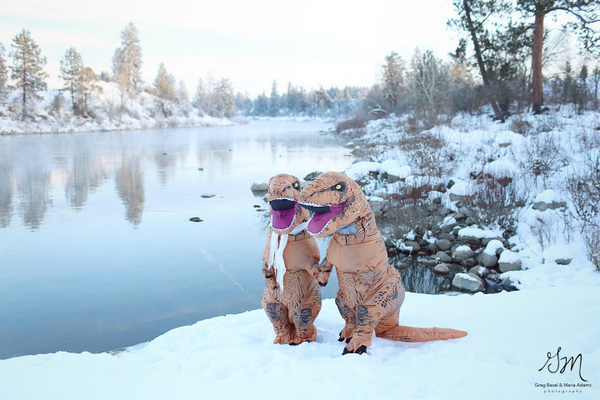 So when we saw this t-rex 'engagement' session, set in Spokane, on the local news stations, we knew we had to feature it on Apple Brides! 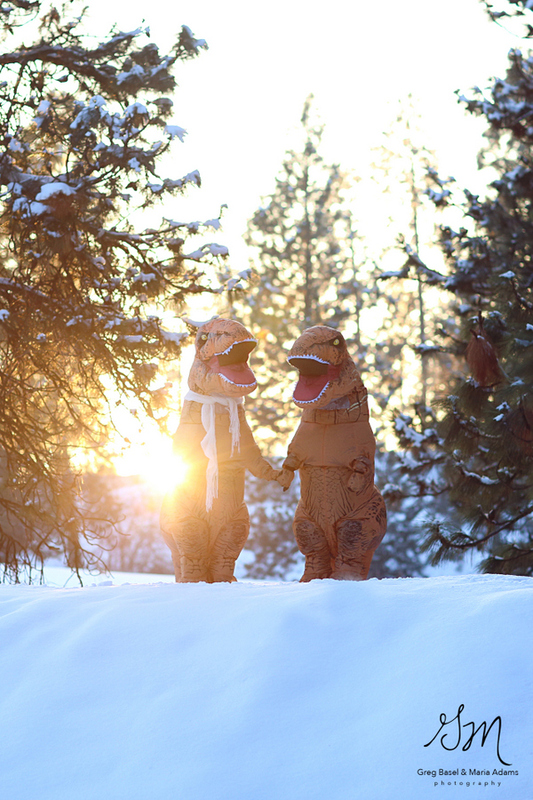 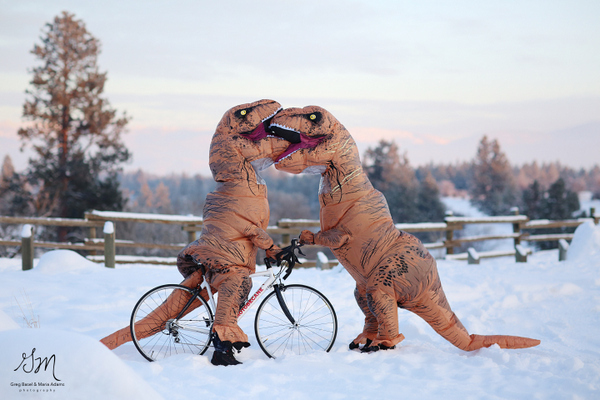 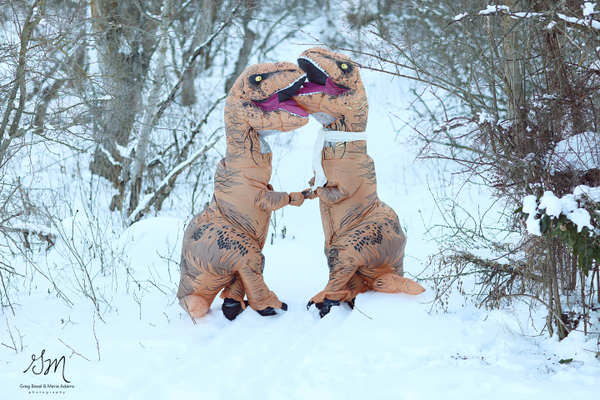 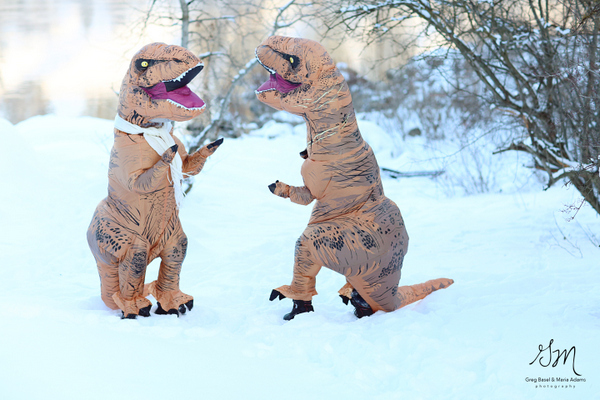 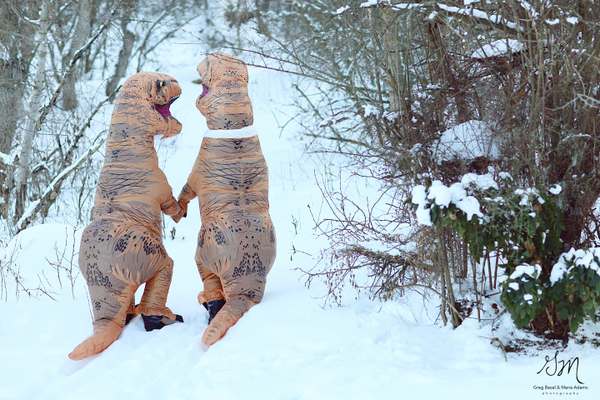 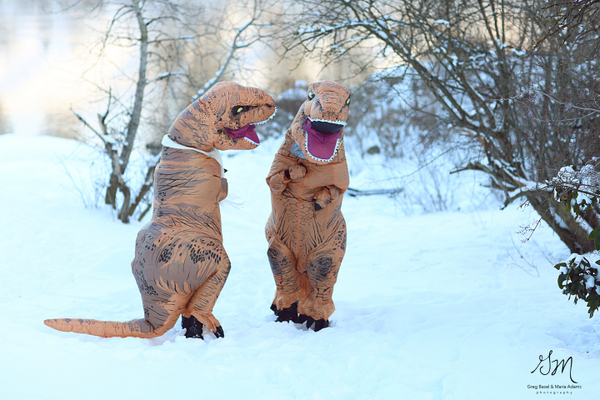 While the people behind the dinosaurs are just friends, and not actually engaged, we still think this shoot is so fun. 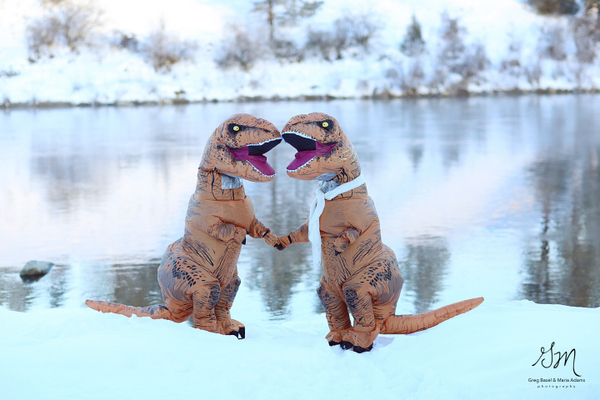 We LOVE a couple with a sense of humor, and these two certainly have that! 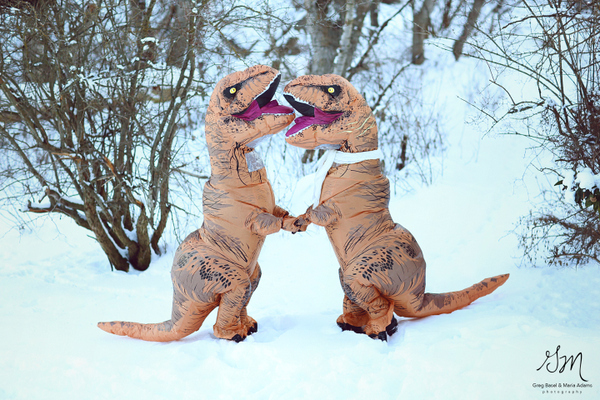 Besides, if you can't have fun with each other, what's the point, right? 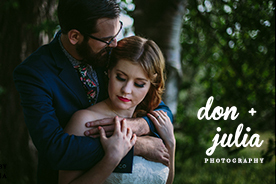 This will definitely go down in the books as one of our favorite e-sessions, real or make believe.